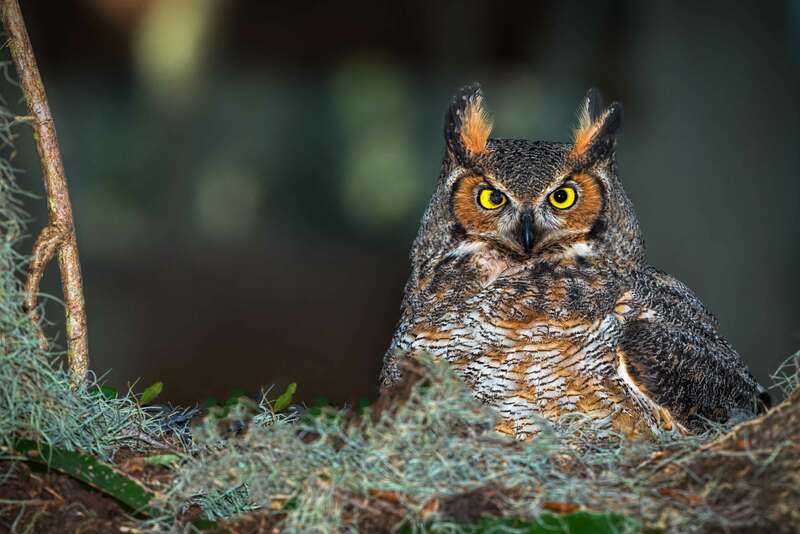 While in Florida in January, I was able to see and photograph a Great Horned Owl nesting in a very large, old oak tree. It was a highlight of my trip to Florida. 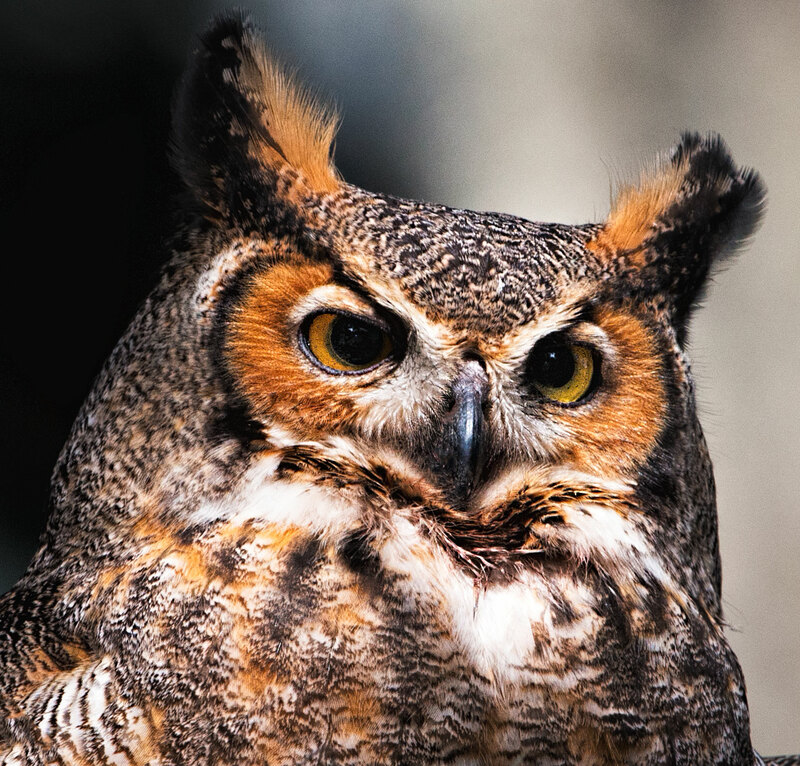 Great Horned Owls are commonly found throughout North America and their population is estimated to be over 6 million with about 45 percent in the United States. Chances are you have seen and photographed them too. I have seen and photographed them before, but on this occasion, all of the critical elements for capturing a really good (keeper) image came together. I was prepared with the right gear: Nikon D800 mounted on a 600mm lens on gimbal head and tripod. At times, I used an SB-910 Speedlight with a Better Beamer for some fill flash and catchlight. There were a couple of exciting moments. After about 30 minutes of watching and photographing, I noticed through the viewfinder a very little, young owlet popping its naked head up from the nest towards its mother’s beak. The owlet’s eyes were not open yet. It probably hatched the day before or early that morning. My timing at the nest was incredible. I was probably seeing and photographing the owlet’s first feeding (below). Notice how the female owl, although feeding the owlet, is literally keeping an eye on me. 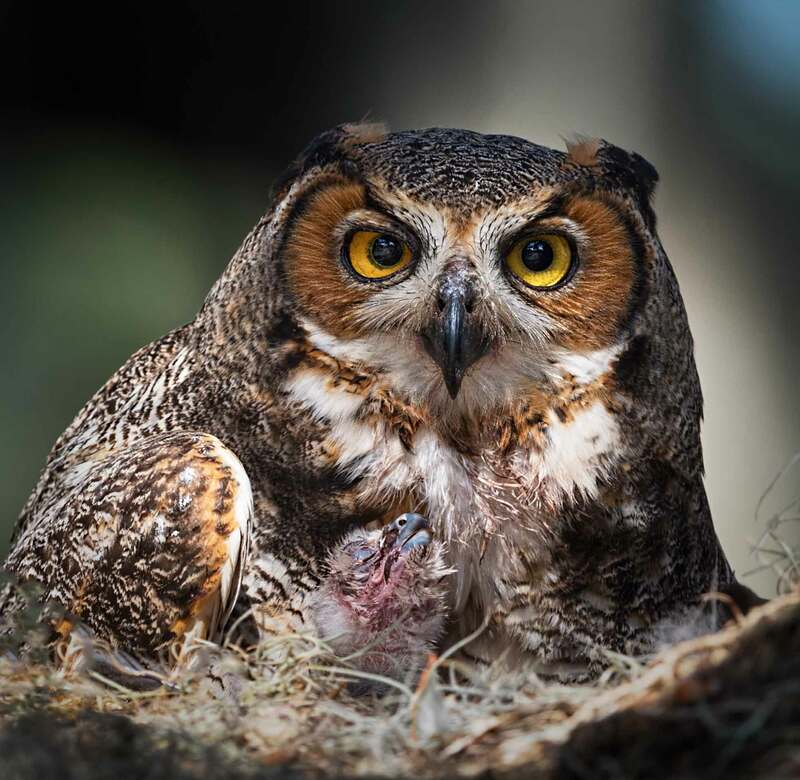 Before the owlet appeared, the mother owl was feeding on something in the nest. I could not see what it was. 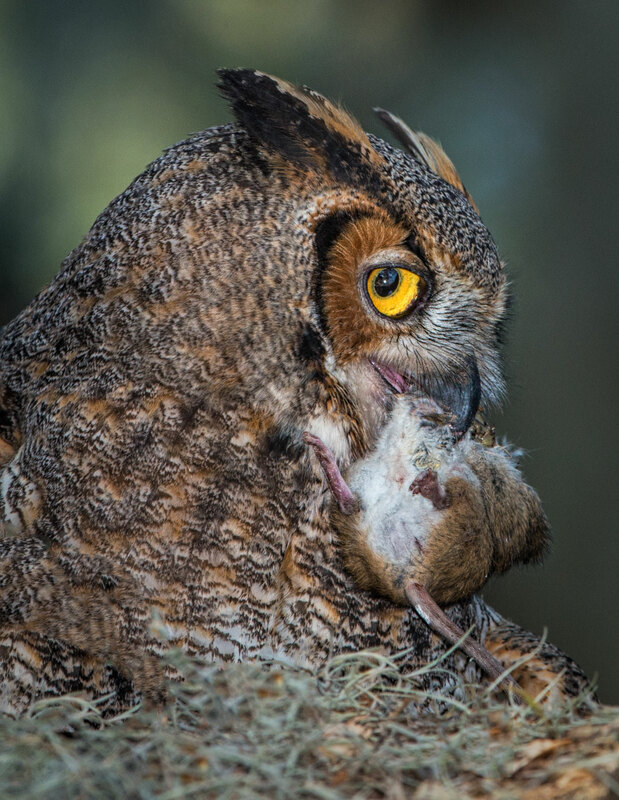 Later the owl pulled a dead mouse out of the nest. With the mouse in her beak, the owl looked around and then flew up into the tree, and quickly returned to the nest without the mouse. Nature photography opportunities like this, when everything comes together, are rare. Sometimes it is luck, but more often it is perseverance and persistence, as well as being prepared. Images like these feed my desire to shoot more, even when it is very early in the morning, far away, cold or hot, wet, bug infested, etc. 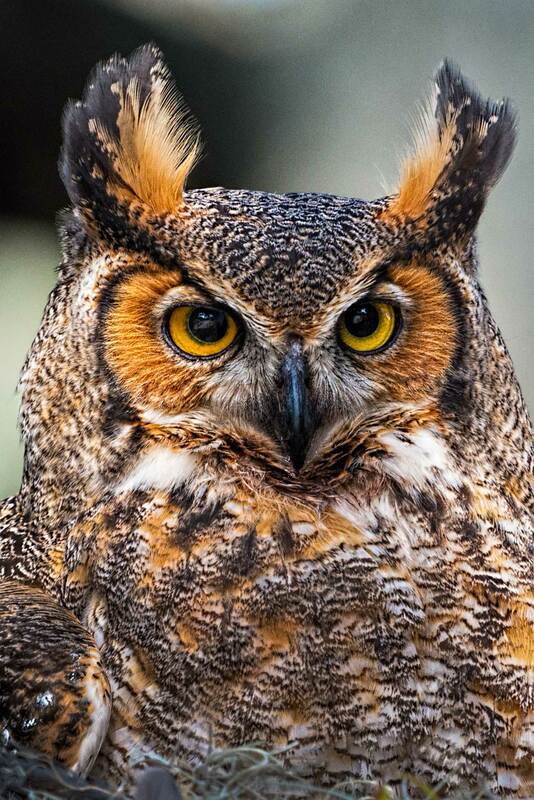 This entry was posted in Bird Photographs, Nature, Wildlife and tagged Great Horned Owl, owl. Bookmark the permalink. As I commented earlier, this is one of your best series of images (and that is saying a lot). The shots with the owlet are the icing on the cake. Timing, composition, and processing all came together for some great images. Stephen, the photos are incredible! 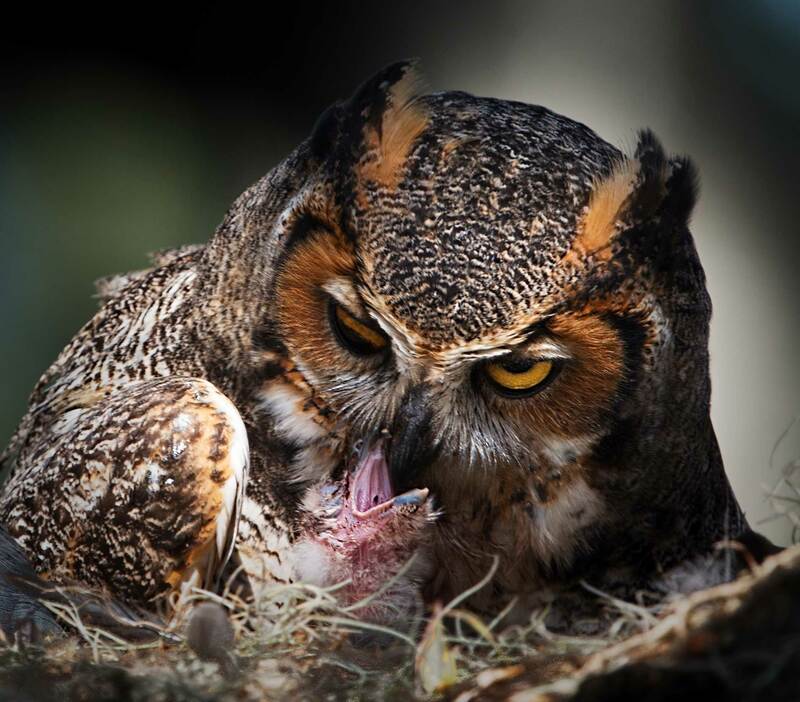 I love seeing the owlet and the sequence of watching, feeding the baby, and the removal of the mouse. Do you have an idea about the reason she took her food out of the nest? Congratulations on being there and being prepared to get these outstanding photos! Thank you for continuing to follow my blog and the positive feedback. It was an outstanding trip to Florida in Jan. and I now have a lot of blog material. Someone that was also photographing the owl said she did the same thing the previous day, deposited a dead bird from the nest somewhere else in the oak tree. Interesting. I wonder if that is typical behavior. Highlight indeed. Really nice work. Thanks for sharing. Lovely as always Stephen!! Awesome Color!! FYI, the mother owl did not return to the nest last Friday and the owlets were removed and rescued on Sat because the weather was very cold and rainy. Papa owl was still hanging around as of two days ago. 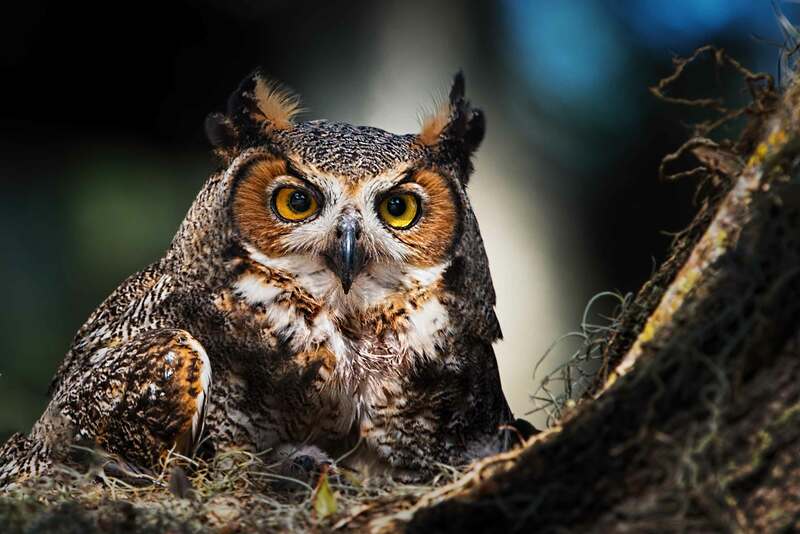 Have you heard that something happened to the owl, the chicks were left with the male who watched them from a viewing point above from an adjacent tree. He would bring food, but did not feed them. They had to be rescued and taken to a wildlife center. The male also brought in another female and I imagine there are eggs now. St Cloud visitors were really into this nature scene! Thank you Judy. I did hear about the female abandoning the nest, but not the other info you provided.